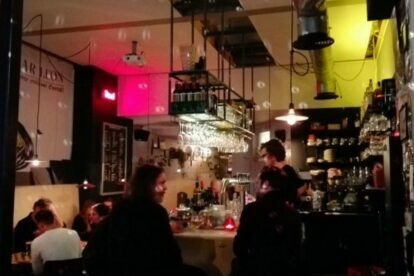 Bar Leon is one of the coziest places to come together in Borgerhout. I love coming here on Sunday mornings with friends for breakfast or brunch, whenever we feel like enjoying the perks of not having to cook in the morning, so that we can spend the time on more important things in life, like catching up 🙂 In the evening this bar is transformed by a silver disco ball, which at first sight doesn’t seem to fit in, but actually creates a very laid back and magical feeling. One of my favorite drinks is the red brown beer ‘Nan der Ghinsten’, which is also surprisingly cheap. If you are in need of a place for gatherings, meetings, castings, birthday parties or workshops, you can rent out their space upstairs, which has a lot of light and the essentials you need. Mail them and they will get back to you asap.